Vest Front Sling - Forge Grey - Tight Lines Fly Fishing Co. 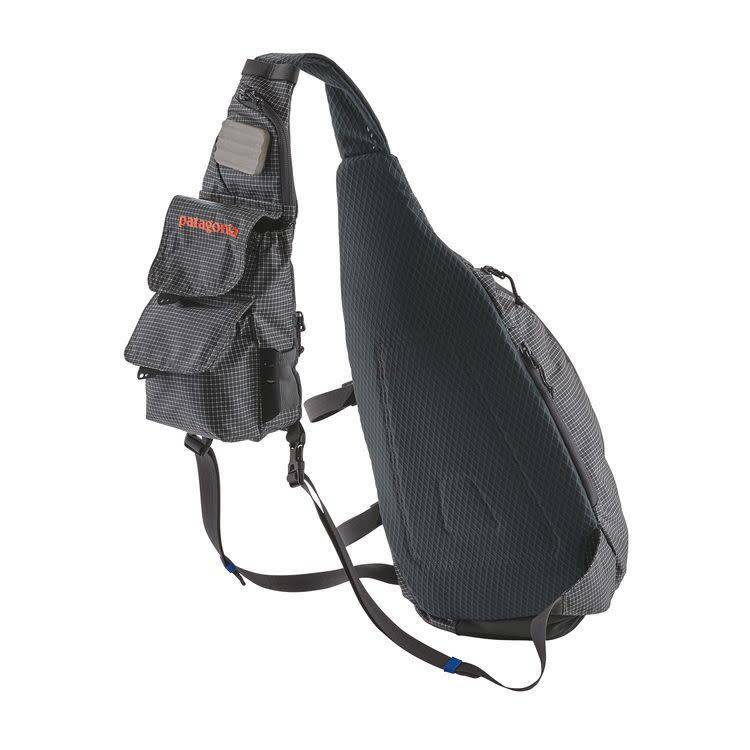 The best of a traditional fishing vest combined with a minimalist sling pack; size is 8 liters. Can’t decide between a traditional fishing vest and sling pack? We couldn’t either. So we combined them for a best-of-both-worlds solution. Our 8-liter Vest Front Sling features our vertical-pocket vest configuration on one side, with a larger storage pack (like our Stealth Atom Sling) on the other. Access to either is simple; just swing the side you want around to the front without having to take it off. External nylon utility keeper provides secure attachment point for zingers, while a selection of easy-access pockets keeps the stuff you need handy. Inside, there’s a range of organizing pockets; a 100% waterproof, welded security pouch; and enough room for lunch, jacket and extra fly boxes. Made from light, tough and water-repellent 5.5-oz CORDURA 86% nylon/14% polyester ripstop with a polyurethane coating and a DWR (durable water repellent) finish.